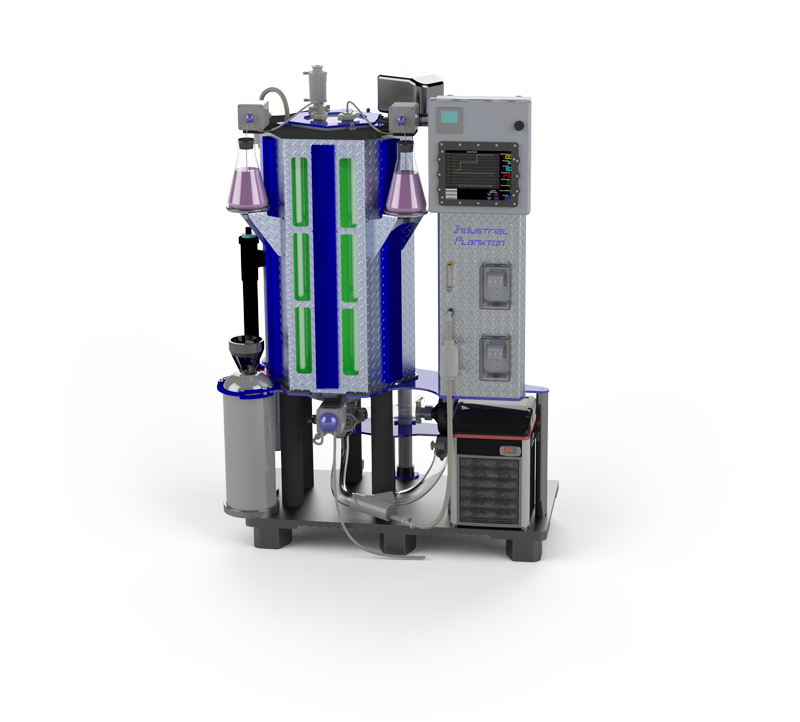 The PBR 2500L Dual Algae Bioreactor is designed to reliably grow two algae cultures in separate 1250L tanks in an industrial environment. The equipment is ideal for use in aquaculture hatcheries producing oyster, mussels, geoduck, clam, scallop, shrimp, or any animal that needs high quality algae. Also ideal for greenwater or zooplankton feed production in marine finfish hatcheries. The PBR has a low footprint with a large production: one PBR 2500L replaces up to 70,000L of traditional batch tanks or 60 upright continuous 400L bags. Biosecure algae is easy to culture with the closed tank design and clean-in-place (CIP) system. Automation and easily adjustable parameters make cultures more productive and reliable. The 1250L Algae Bioreactor is designed to reliably grow algae in an industrial setting. The equipment is ideal for use in aquaculture hatcheries producing oyster, mussels, geoduck, clam, scallop, shrimp, or any animal that needs high quality algae. Also ideal for greenwater or zooplankton feed production in marine finfish hatcheries. The PBR has a low footprint with a large production: one PBR 1200L replaces up to 35,000L of traditional batch tanks or 30 upright continuous 400L bags. Biosecure algae is easy to culture with the closed tank design and clean-in-place (CIP) system. Automation and easily adjustable parameters make cultures more productive and reliable. The 100L Algae Bioreactor is designed for researchers who need a meaningful volume of algae to feed aquaculture animals such as shellfish or shrimp, and for greenwater or zooplankton feed production. The reactor is also ideal for biotech researchers testing algae for applications in biofuels, and production of omega-3’s, carotenoids, etc. Biosecure algae is easy to culture with the closed tank design and clean-in-place (CIP) system. 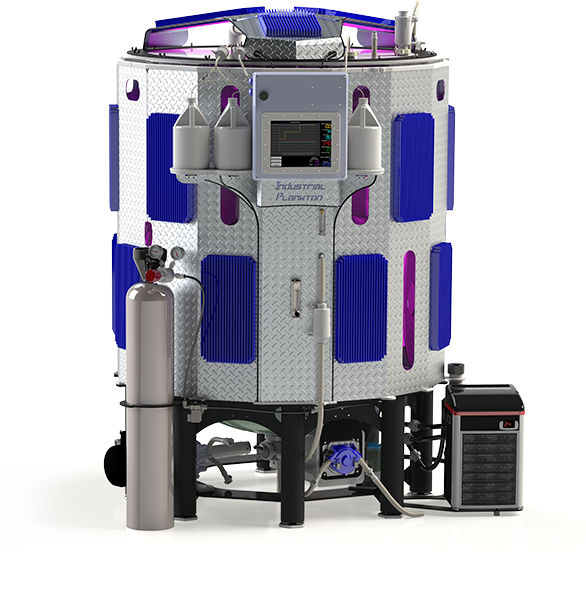 Automation, a sealed environment, data logging, real-time graphing, and easily adjustable parameters make this reactor ideal for research applications.